We get inspired at various stages of our lives by souls or energies and certain deeds. Such events make us realise that the lord almighty is a better planner than us. The almighty has pre-decided the day we meet our inspiration and is also aware of our purpose even before we are born. 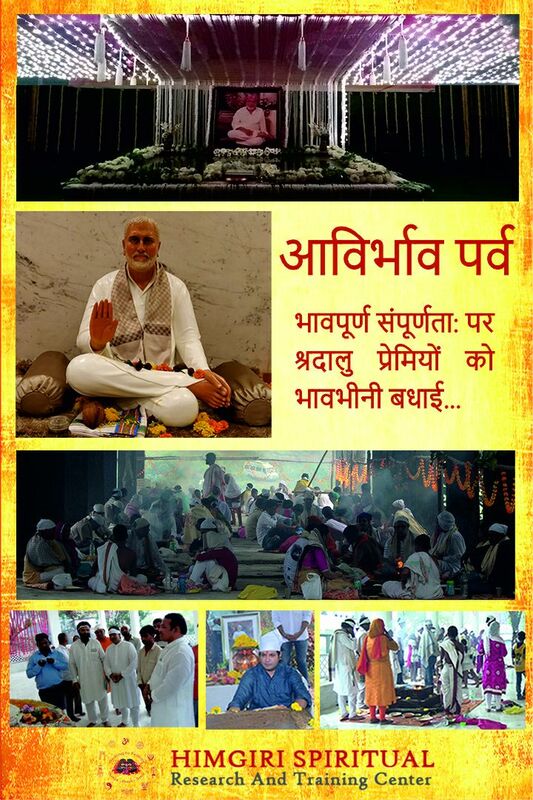 Guruji recognised that light of infinite energy, wisdom and bliss in Pujya Guruji of Gurgaon. Simple attire, humility, kindness and abundant love for humanity were qualities that best described Guruji of Gurgaon. The tenet of Seva spread from Guruji of Gurgaon’s humble residence to centres of divinity located across the globe which we today know as Sthans. People came with their problems to seek solutions and left with immense joy and happiness simply by receiving Guruji of Gurgaon’s glimpse or his blessings. Such was the charisma, that every individual firmly believed that Guruji of Gurgaon loved him more than anyone else. Like a father who knows best his children, Guruji of Gurgaon relieved people from all walks of life of their miseries and misunderstandings through knowledge, introspection and the ability to connect with the inner-self. The intricacies of nature are known only to nature. The outside world saw the human form of Guruji of Gurgaon as a common man and an officer with the Ministry of Agriculture (Soil Survey Department). Guruji of Gurgaon accepted the duties of material existence as a Karm-Yogi and continued to perform the permanent act of Seva. A spectre of the infinite cosmic energy, Guruji of Gurgaon returned to merge with oneness by exiting the physical form on 28th July, 1991. For the attentive, Guruji of Gurgaon speaks through many of his disciples and their acts of Seva even today. The most giving and selfless word in this world is mother. A mother’s love for her children is limitless, unconditional and without any expectation. The divine mother is as powerful as Lord Shiva. Maa Shakti, the primary source of all energy, revealed herself in the human form of our dearest Mataji of Gurgaon and as the center of Guruji of Gurugaon's divine power. 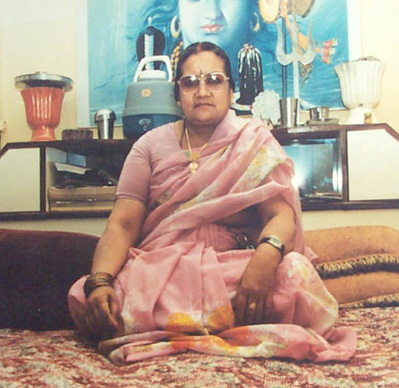 In her human form, Mataji of Gurgaon worked as a school teacher and provided complete support to Guruji of Gurgaon. Mataji of Gurgaon was filled with unending motherly love and affection for all. Affectionately called as Mataji, she was delighted when Seva was started at the Sthan (the residence of Guruji of Gurugaon). Mataji of Gurgaon, loved and blessed all individuals, irrespective of who they were or where they came from. As an ocean of joy, love and enthusiasm, Mataji of Gurgaon showered her blessings on all as her own children. In the company of Mataji of Gurgaon, each one experienced abundant love, joy, guidance and knowledge. As morning turns to night signifying the cosmic rule of passage of time, the hour had come when the supreme divinity decided for our dearest Mataji of Gurgaon to be one with the universe and as omni-present. Mataji of Gurgaon left her human form on the 2nd of May, 2014 (on the day of Akshaya Tritiya) a day after her birthday. Forms and shapes are not important to divine powers but are only a medium to communicate divinity. Mataji of Gurgaon continues to live through all those who hold her teachings, behaviour, values, and knowledge close to their heart. Mataji of Gurgaon’s words act as the guiding principles and provide inspiration to perform continuous Seva at various Sthaans, fulfilling the wish of Guruji of Gurgaon.